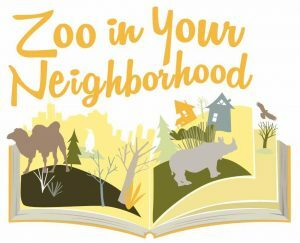 Zoo in Your Neighborhood is a new program designed to reach out to more members of our community – funded by a generous grant from Capital Region Community Foundation. We will be visiting over 30 community partner locations in an effort to bring the zoo to you! These events are free to participants of all ages. Each event will feature a live animal presentation or a “Reading with the Animals” program. Live animal presentations are an up close and personal presentation with our ambassador animal and is a great time to learn about our animals and their natural behaviors. At our “Reading with the Animals” program, the audience will hear great animal stories and have a close up encounter with our animal ambassadors. If you have any questions about Zoo in Your Neighborhood please call the zoo at 517-342-2713. Below are the scheduled events near you. Check back often as we will continue to add to the list! There is no sign up or pre-registration to attend. We hope to see you there! Please check back later to see other dates that will be added. Zoo in Your Neighborhood is a new program designed to reach out to more members of our community – funded by a generous grant from Capital Region Community Foundation. Four zoo family passes will be provided to each community partner location. The passes can be “checked out” for a short time to visit the zoo with no admission charge, then returned to the community partner location so another family can enjoy the zoo! Contact one of our community partners below to inquire about zoo pass availability.